Little man loves spending time outside, anything to do with getting messy and wet is right up his street. During February half term, I blogged about Growing Beans with Children, it is a nice and easy project to get kids involved with gardening. 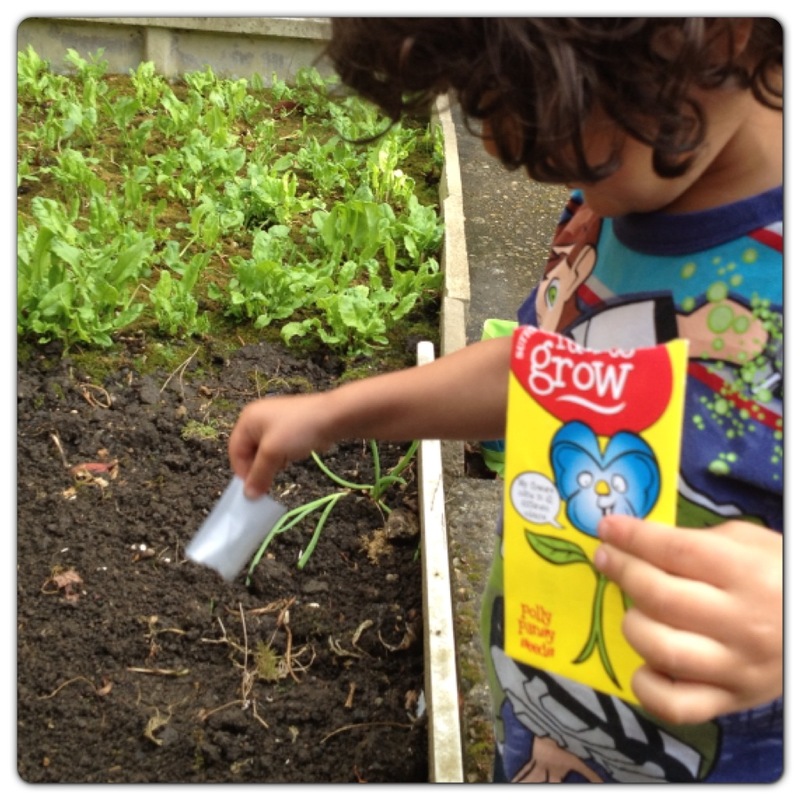 I have also shared our Gardening Fun: Planting Seeds with Children. 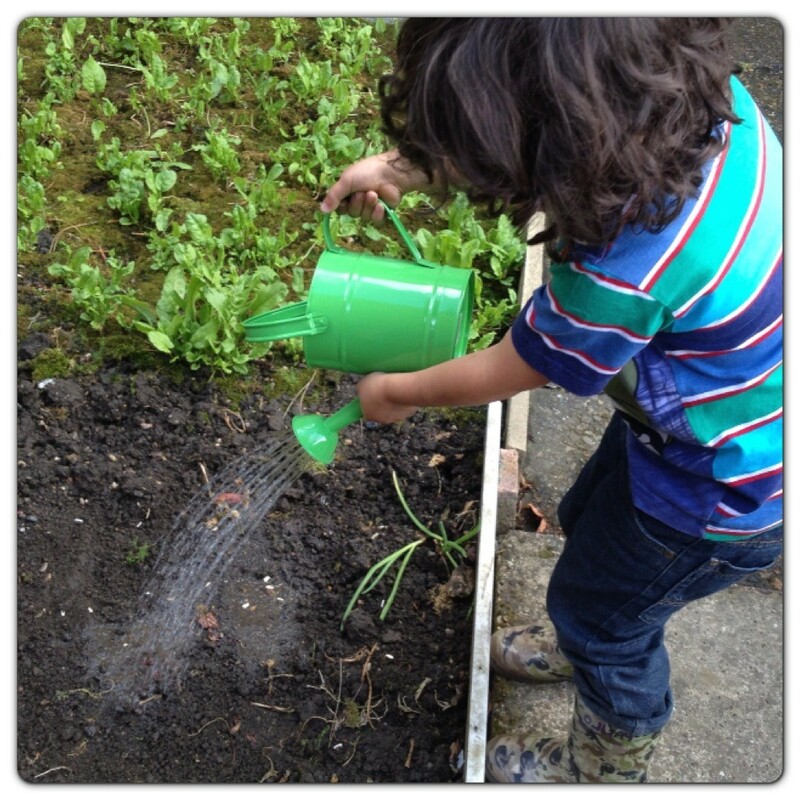 Little man enjoyed planting the seeds, watering them daily and seeing them grow. We were sent a gardening kit with a watering can, gardening gloves and tools, and flower seeds. Little man couldn’t wait to get started and get busy in the garden. Little man started by getting the soil ready, he had fun digging to make sure that the soil was loose and ready for the seeds. Then he planted the flower seeds provided in his gardening kit. Little man’s best part was watering the seeds with the watering can, he had lots of fun and made sure all the seeds were getting some water. I really like gardening, not only it is a very enjoyable activity, it also helps children to learn more about the environment! 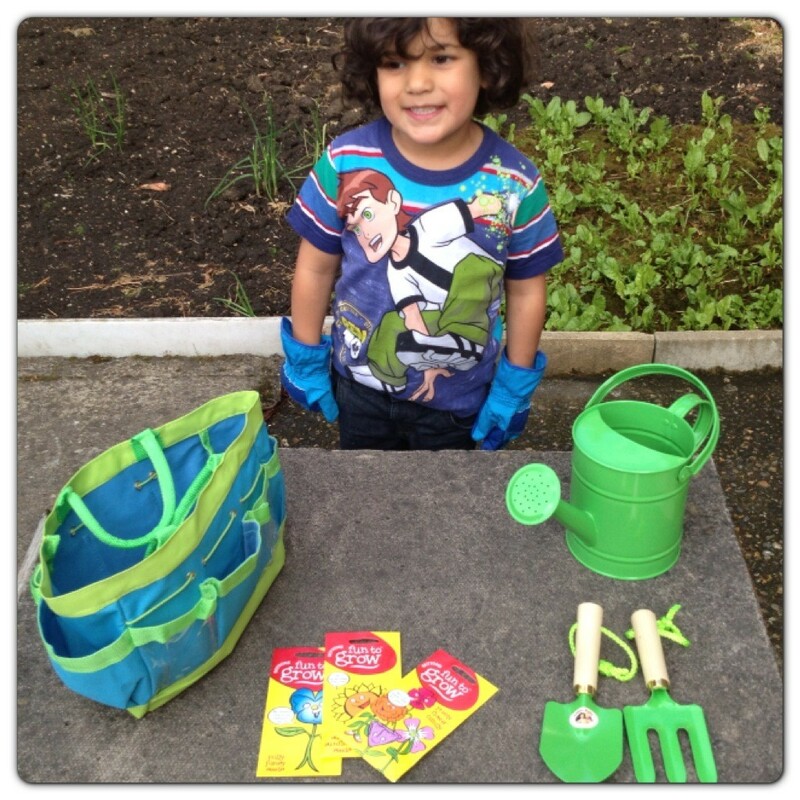 Thank you for little man’s gardening kit, we are looking forward to having some gorgeous flowers in our garden! 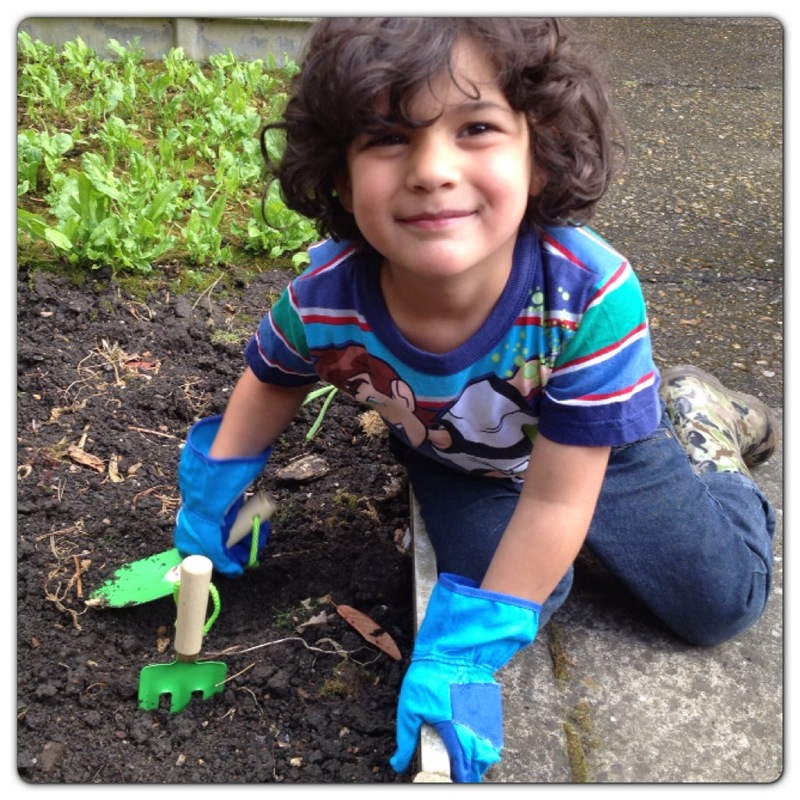 17 Responses to "Gardening with Kids: Get Busy in the Garden #KidsGrowWild"
Great to get kids involved in gardening. Educational fun and provides exercise. My 2.5 year old loves to drive his tractor and collect any clippings from the garden, unfortunately we are in a brand new house so the plants haven’t grown that much so I am having to clip really small bits off all the time so he has something to go in his trailer!!! 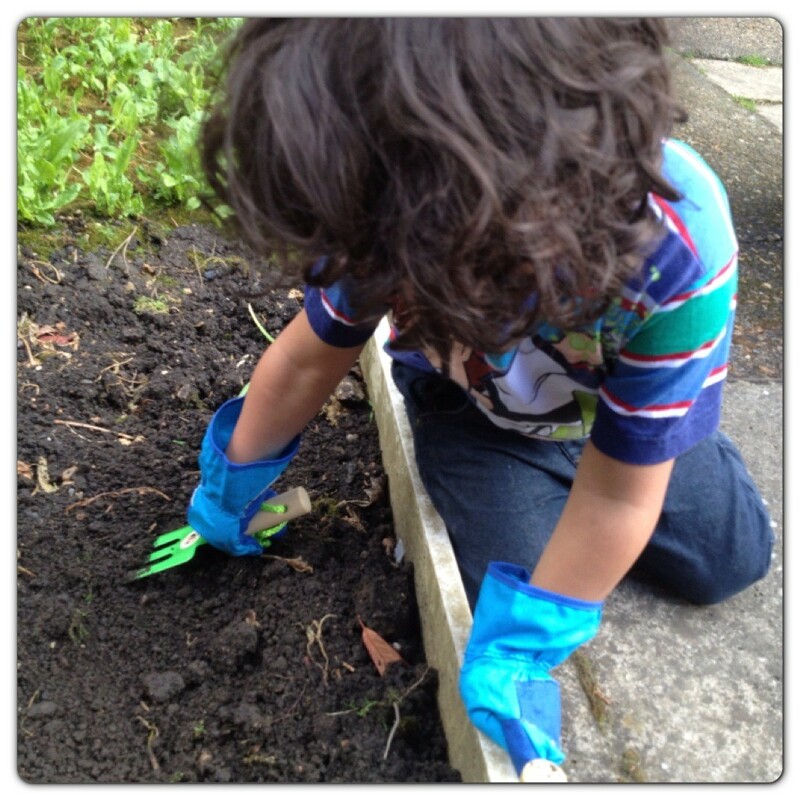 My grandson loves to help in the garden and on our allotment.